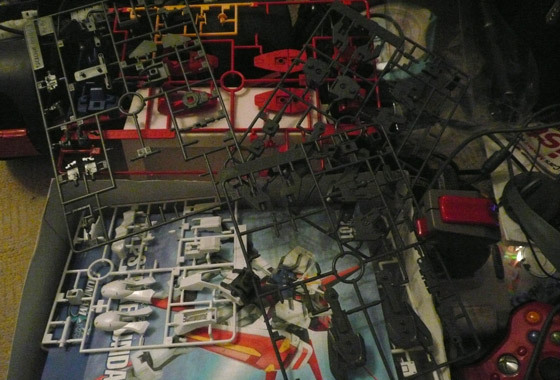 It’s been a hell of a busy couple of months, with birthdays, freelance jobs and trips to France i’ve had no time for gunpla whatsoever 🙁 but now times looking alot better so i’m back on with the Aile Strike! So far I have both arms built and they just need a spot of paint on the shoulders, the shield and beam rifle are complete too.Will probably tackle the Aile Striker next as that appears to need the most painting. Now i’ve properly started i’m really looking forward to seeing this one done so that should motivate me to finish it soon!